Greece is a fantastic place to visit, but here are some of the top things to avoid doing there. Your trip will be happier, safer, healthier and more enjoyable if you follow these tips. For starters, don't underdress for church. Bare legs and bare arms are not appreciated, especially during services when the church is occupied. Some monasteries will provide coverups for unprepared tourists to wear inside. 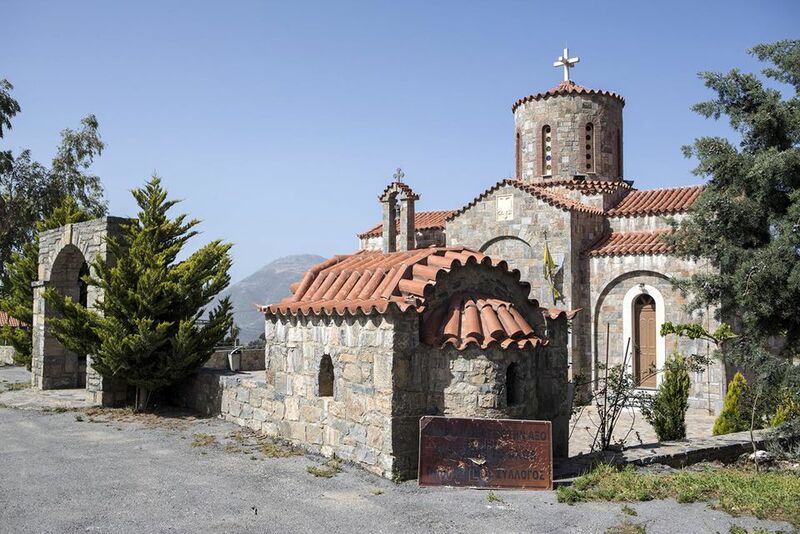 But if you have to see inside that charming chapel and you have nothing to cover up with, usually an apologetic shrug and gesture at your bare arms and/or legs to whatever black-garbed yia-yia is in attendance will gain you a smile and a forgiving welcome anyway. One of the quickest ways to lose a lot of the joy of travel is by overpacking. From extra fees to cramped taxis to strained muscles, the best way to start your trip is by carrying as little as possible with you. If you are a confident driver back home, that still may not qualify you for driving in Greece - or in many other European countries. While some adapt readily to the "road rules are guidelines only" attitude abroad, others spend their time behind the wheel terrified, which definitely diminishes the pleasure you might have on your trip. It also doesn't do much for the joy of your passengers, either. However, if you want to drive yourself in Greece, please do yourself a favor. Unless you are addicted to stick-shift driving, please swallow the extra cost and occasional scheduling inconvenience and rent a car with an automatic transmission. Greece's winding rural roads, with occasional goat or sheep herds crossing the thoroughfare or tractors, suddenly appearing in the lane around a curve, combined with impatient, experienced drivers behind you make this a poor place to improve your shifting skills. Every dollar you pay to get an automatic transmission will be worth it. Greece offers English language lessons starting in third grade. Almost everyone under the age of 50 will have had English in school and will know enough to communicate on a basic level. Older Greeks may not have the same language skills, but they usually have something as good or even better - the willingness and desire to communicate which can transcend any language barrier. A smile and a few words of halting Greek are usually all it takes to get any assistance you need. Island-hopping trips in Greece can be one of the best ways to experience the country - but with so many beautiful and charming islands, it can be easy to want to visit as many of them as possible in just one trip. Don't fall prey to this temptation. The constant motion will diminish your sense of "vacation". On a week-long trip to Greece, if it is your first time in the country, you can visit Athens and one or two islands at most. Anything more will just give you a sense of rushing from place to place - hardly what you want for your vacation. Returning from the islands to Athens in the morning for your flight home that afternoon or night? That's fine if you like to live dangerously - but a better strategy is to get back to Athens the day before. Your ferry could suffer mechanical problems, be hit by a work stoppage or slowdown, or be stuck in port due to weather. With this trio of potential problems, it's better to allow a little extra time for your big flight back home... though I know how hard it is to leave that lovely island for the more urban experience of Athens. If you are flying from the island to Athens, your risks are lower. You're less likely to be hit by a strike or slowdown - though it is not impossible. The windy weather and high seas that keep ferries in port generally will not affect flights. 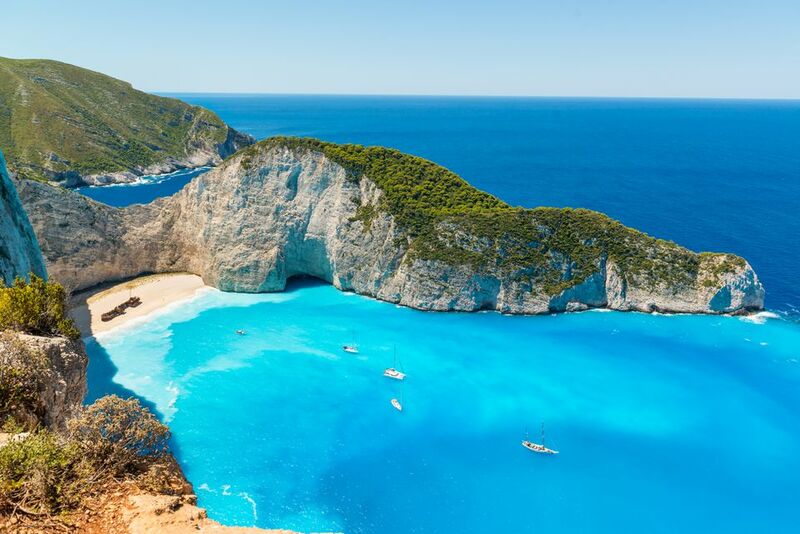 A vacation in Greece is a great time to feed your adventurous self in a variety of ways, and there are lots of options for relatively safe adventure travel in Greece. But a broken bone or another injury can put a damper on your vacation in more ways than one. Be brave, be bold, ​and be careful.